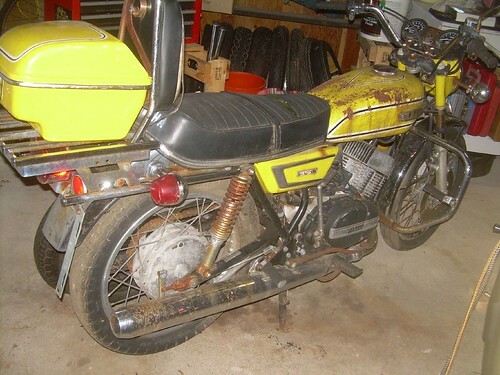 I’ve always wanted an old 70’s 2 stroke motorcycle. Well, I finally found one. I may have found the most rusted up, junked one around, but t he point is .. . . .I found one. I immediately pulled off the luggage rack, sissy bar, engine guards, and assessed the situation.